Influential and young, the hip-hop community lost another one of its member. 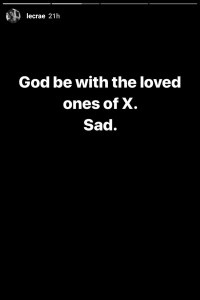 XXXTENTACION was shot and killed earlier this week in his vehicle. There are many allegations of domestic abuse and assault against X. Deemed a controversial figure in music, he still maintained a high level of respect with his music. Regardless of where you stand on his life and death, clearly a lot of people were impacted by his work. Much of Christian hip-hop had strong feelings about the news.